Have you been to I-Drive 360 lately? The Orlando Eye is now known as the Icon Orlando Eye, there are new “people” to see at Madame Tussauds, and there is a new rebranded Mediterranean restaurant. The old Paramount Foods has rebranded and is better than ever. I was invited to taste the new menu and I was so impressed I have visited twice since. First of all, the Cold Mezza Trio is a dish I can all day everyday. 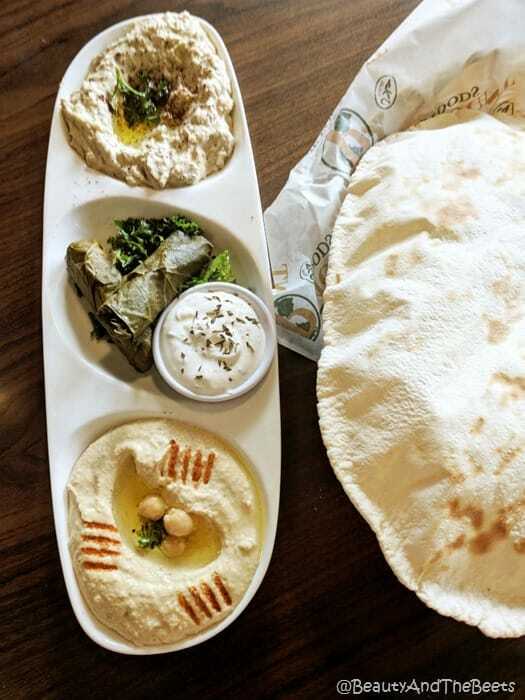 The grape leaves alone are worth the trip, let alone the hummus and the baba ganouosh. So, first, the grape leaves are stuffed with rice, tomatoes, parsley, and fresh mint. And they are incredible. 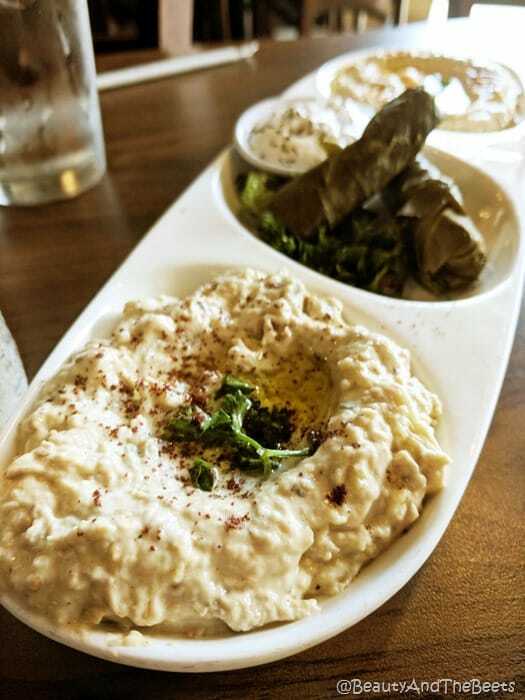 The baba ganoush is smoky and savory, maybe some of the best baba ganoush I have ever experienced. 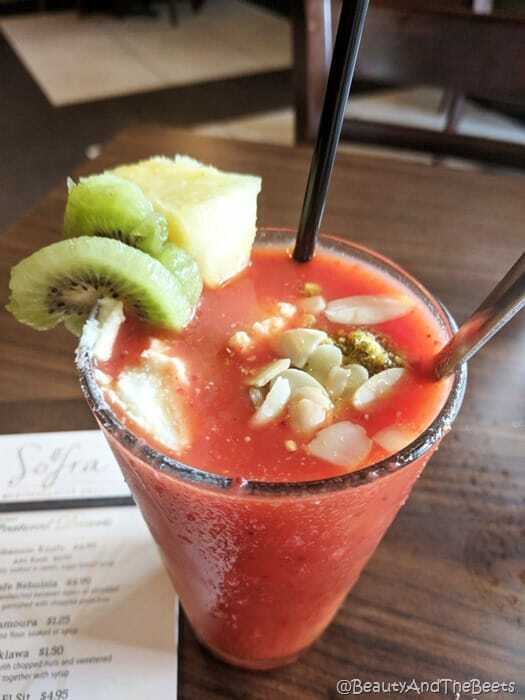 I also tried the non-alcoholic Sofra’s Special beverage- a mix of fresh strawberry and mango juices, topped with fruit, ashta cream, almonds, pistachios, and honey. 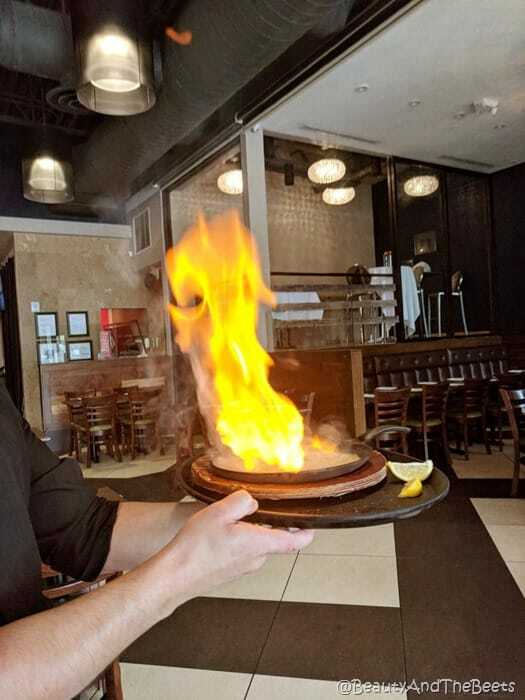 I was brought the spectacular show stopping Flaming Saganaki – a display of flaming fried cheese. It is served on what we would know as a fajita plate, and fried with bourbon at the table. I could not get enough. 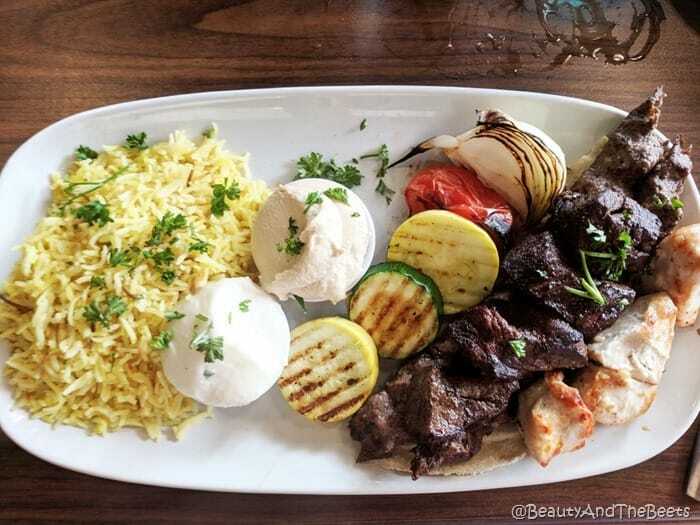 For my main entree, I ordered the Mixed Grill Plate with kabobs of striploin beef, chicken, and kafta (spiced ground beef). I loved the housemade garlic sauce with the accompanying grilled vegetables. But beware, this is a super filling plate. 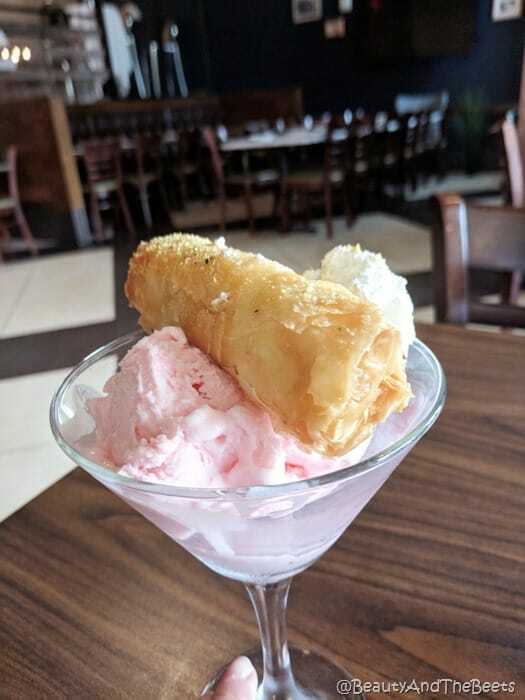 Dessert- the Znoud El Sit- a sweet layered phyllo dough served over rose ice cream. Absolutely amazing. Sofra also has a very tasty express lunch menu for those limited with time and on a budget. Like I said, I went as an invited guest and have returned twice as a fan. A super easy 5 out of 5 sprouts.